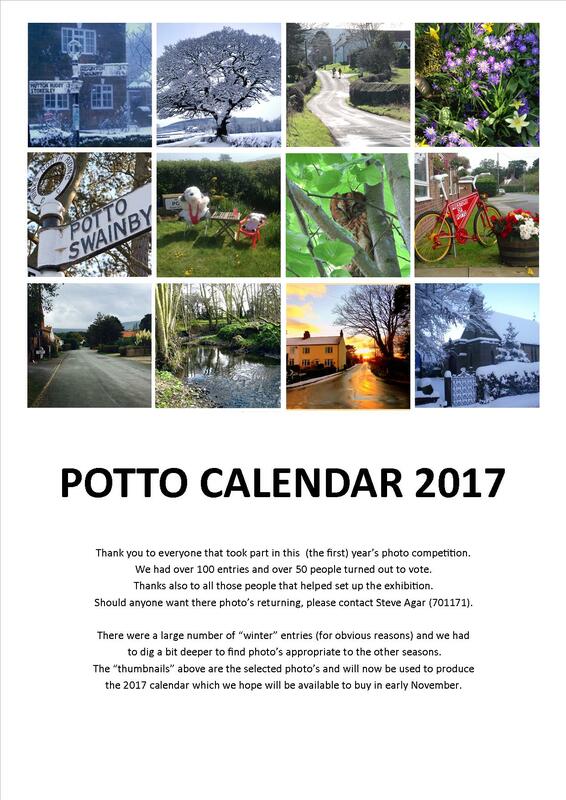 Winning entries of our photographic competition have been included in a new Potto Village Calendar, now available to buy. Contact a member of the committee for more details. 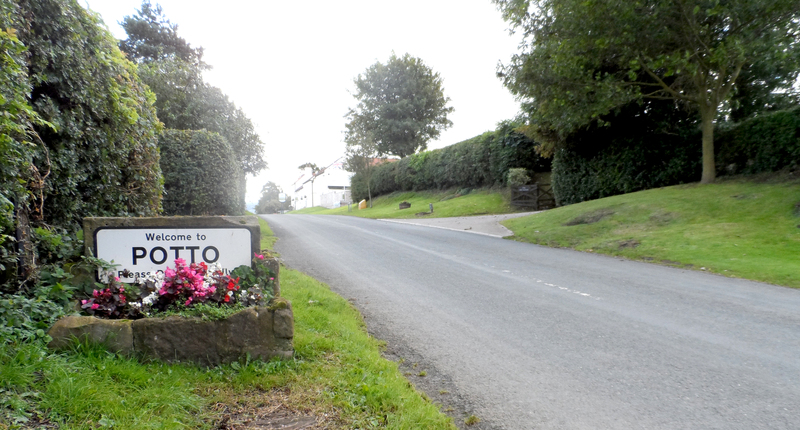 In preparation for our 2017 calendar, which will contain views of Potto Village in the different seasons, Potto Village Hall Management Committee invite all residents to take photographs of the village during the coming months for a display in the hall next October. Entries will be judged in the categories for each of the seasons Winter, Spring, Summer and Autumn. and it is hoped that each photograph will depict a part of the village up to and including the Parish boundary. It is proposed that all entries will be judged by the residents with a vote for each category – you will not however be allowed to vote for your own photograph. The 3 winning photographs for each of the 4 seasons will be reproduced in a 2017 Calendar, which will be on sale in time for Christmas 2016. All profits will go to the Village Hall. Please keep us in mind as you take your photos of Potto throughout the year and we will ask you to bring A4 size prints of your photos to the display next October. 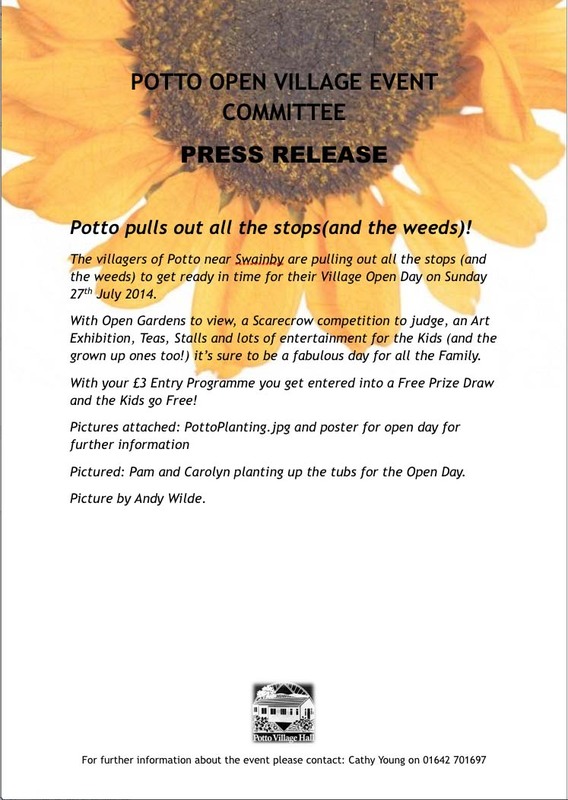 The villagers of Potto near Swainby are pulling out all the stops (and the weeds) to get ready in time for their Village Open Day on Sunday 27th July 2014. With Open Gardens to view, a Scarecrow competition to judge, an Art Exhibition, Teas, Stalls and lots of entertainment for the Kids (and the grown up ones too!) it’s sure to be a fabulous day for all the Family. With your £3 Entry Programme you get entered into a Free Prize Draw and the Kids go FREE! 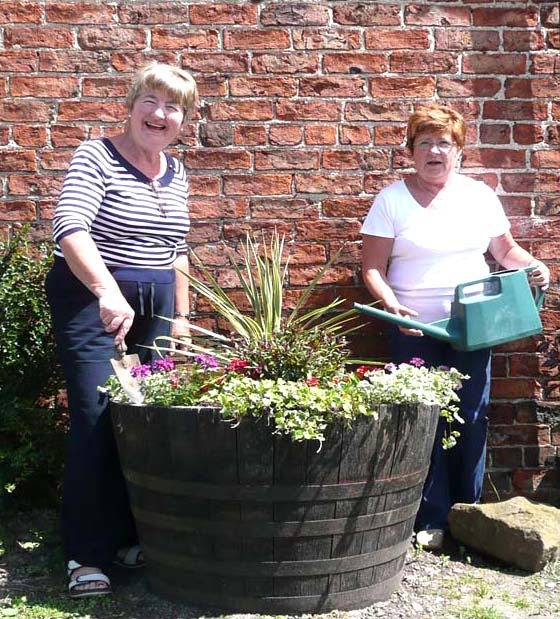 Pictured: Pam and Carolyn planting up the tubs for the Open Day.